It was three years ago, in 2015 when Canon released the EOS C300 Mark II. It came with some pretty significant advantages over the original EOS C300 cinema camera. But it’s time to start thinking about another refresh. And that’s exactly what Canon Rumors says is happening in 2019. But that C300 Mark III refresh may include the option of an 8K sensor. RED recently simplified its camera lineup to three separate product lines. Monstro, Helium and Gemini. But how do the three new systems all stack up against each other? That’s what Pulitzer Prize-winning photographer and filmmaker Vincent Laforet wanted to find out. So, he got all three cameras and took them out to compare them side-by-side and see for himself where the limits were. You may look at this post and think “I’ll never own a RED camera, why should I care?” but Vincent’s message here is clear. It’s not that we all need RED cameras, or to show off his fancy cameras. It’s to demonstrate that we all need to test our camera’s limitations. We need to know what those limits are, where and how we can push them, and when we definitely can’t. If you’ve always wanted to buy a RED camera and have been saving up – now may be the right time to get it. The company has announced that they’re dropping prices on all of its cameras, and you can save up to $25,000. Additionally, RED is simplifying their product lineup and it will offer only three cameras. It probably isn’t what people were expecting when Canon recently announced they were focusing on mirrorless. And it almost certainly isn’t the camera recently rumoured to be out testing with pro photographers. But Canon has announced their first full frame mirrorless camera. The C700 FF cinema camera, that is. Yeah, ok, so all cinema cameras are mirrorless, really, but this one contains a 5.9K, relatively huge (compared to Super 35mm) full frame 35mm sensor. It works with EF, PL and anamorphic lenses, and if you’re using Canon EF lenses, you even get Dual Pixel autofocus. Canon announced the new camera along with a 10 minute video going over its features. With disappointing iPhone X sales, and the overall reduction in iPhone sales, it seems Foxconn are branching out. And they’re brancing out into the 8K prosumer video market, if Nikkei Asian Review’s report is accurate. 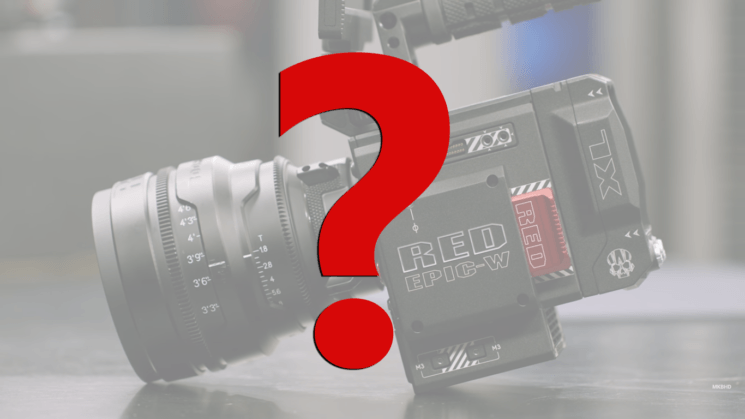 They say that Foxconn are teaming up with cinema camera manufacturer RED to make professional quality and affordable cameras available for the general public. Given that RED’s current 8K Weapon systems cost somewhere in the region of $50K once you buy all the associated bits, that’s one heck of a goal. Nikkei say that Foxcon are “seeking new revenue sources to compensate for weakening smartphone demand”, and that they want to “reduce its business dependence on Apple”. Apple currently accounts for more than 50% of Foxconn’s sales. For filmmakers who want to buy an entry-level cine camera, RED Raven may be a good choice. However, it’s not available on RED’s website any longer, but they’ll need to head over to Apple store. The camera will be available as a kit online and in selected retail stores. And while RED is developing their own smartphone, this seems like a beginning of an interesting cooperation between the two companies. This seems to be the new thing for camera manufacturers. They don’t just announce new cameras now, they announce than an announcement is coming. Or that a new camera is in development. Nikon just did it with the D850, and now Sony are doing it with a new 4K CineAlta motion picture camera. Sony have given us a little more information than Nikon did, though. Their new CineAlta camera will use an entirely new full frame 36x24mm sensor, designed specifically for digital motion picture capture. It will also be compatible with current and new accessories for the CineAlta cameras. When we featured the patent for RED’s very first camera phone – it seems we were onto something. RED’s founder James Jannard himself has announced that something new is coming from the company. This time, it won’t be anything related to RED cameras, but it’s an entirely new product category.